I started this series of posts at the end of January with a blog post titled, Books I Read in January. And I fully intended to do one post a month. But then my life blew up, I got an agent, and I needed to turn my attention to rewriting my book. So my blog posts suffered. So did my reading–at least a little bit. I haven't been reading quite as much as usual, but I've still been reading a lot. And, let me tell you, reading novels helped me with the rewrite. I'll explain in a minute, but first, let's discuss: do you read similar books to yours while you are in the process of writing or rewriting? I do. Let me explain. I likely would not read another novel set in a macaron bakery (and I'm hoping to God there isn't another one) but I do read women's fiction, and lots of it. I know some writers fear that if they read novels that are too similar to their's, they will be unduly influenced. But I'm the opposite. I often feel like I need to inhale words in order to spit them back out on the page. And while I'm inhaling those words, I'm continuing the lifelong process of learning how to put a decent novel together. While I was rewriting, for instance, I read How to Knit a Heart Back Home. (See below.) Rachael Herron, the author, did some things with description that were active and engaging, not just dead on the page. And since my agent and her reader both felt I needed to work on my descriptions of characters (and ironically, macarons), I studied what Rachael did and copied her a little. Of course, it came out completely different because I'm writing a completely different book with different characters. What I copied was her approach to craft. And that, my friends, is why we writers read. Because it teaches us about writing. So here's what I've been reading since January. How to Knit a Heart Back Home, by Rachael Herron. I love this series of books set in Cypress Hollow, a fictional small town in California. All the characters are knitters in one way or another, and she has a knack for creating characters you love. She's recently branched out into stand-alone books, and her latest book, just released, is Splinters of Light. I also recommend Pack Up the Moon. At Home in Mitford, by Jan Karon. I read the most recent book in the series after I got it for Christmas, and have now gone back and started at the beginning of the series. The books are gentle, sweet, and yet have a depth to them based on the protagonist, Father Tim, who is and Episcopal priest. Plus, my Mom loved them. She'd be thrilled I'm finally reading them. The Lanvin Murders, by Angela Sanders. Angie is a local author, and a friend. She is doing very well with this series set in a vintage clothing shop. (This novel is the first in the series; there are two more already.) Subscribe to her monthly newsletter for all kinds of cool info! The Financial Lives of the Poets, by Jess Walter. A fun book, but I wasn't as impressed with it as I was with his novel, Beautiful Ruins (which we used as our teaching book the first year in France). Not sure why this one didn't hit with me. Gotta Read It, by Libbie Hawker. 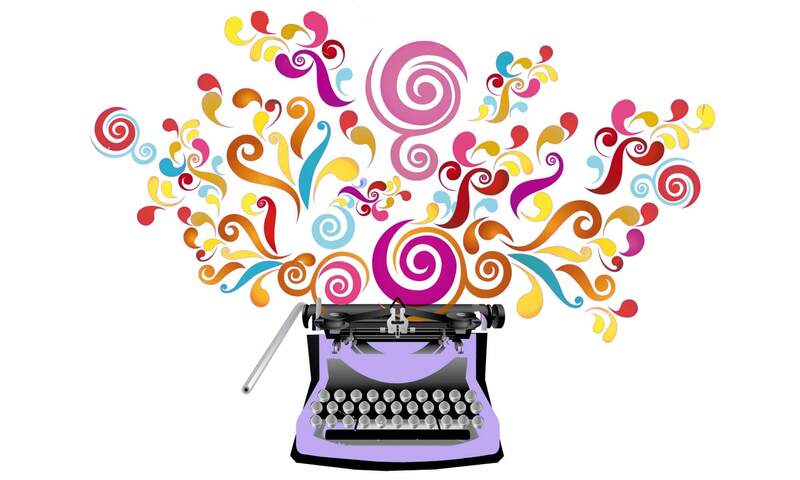 A quick read (and inexpensive–its a $.99 ebook) on how to write a synopsis. It's really about how to write a pitch for a completed book, but I found it helpful in thinking through my next novel as well. (And I just bought her book on how to outline a story, called Take Off Your Pants). The Bible. I took a class in February and March called Jesus as a Wisdom Teacher, in which we examined the actual words of the man, as opposed to the religions which grew up around him. Woo-ee, I learned some interesting things. And a whole new respect for the guy. There were a couple other books I was supposed to read for this class, but, um, I really didn't, fascinated as I was. I needed to focus on my rewrite, and there was limited bandwidth in the old brain. How the Brain Heals Itself, by Norman Doidge. This is a wonderful book, full of amazing research about what the brain can do. There's a lot of medical and technical stuff in it, but the author is adept at using stories to carry the serious stuff. Even so, I'm a bit stalled on it. Will continue to beat away at the pages. Start with Why, by Simon Sinek. Yeah, yeah, yeah, I was reading this last time around. It is a great book, I just got stuck in the middle when I suddenly had to put everything aside and focus on the novel rewrite. I'm determined to finish it. The Bookseller, by Cynthia Swanson. By day, Kitty, our heroine runs a book store in Denver in the 60s. But at night, her dreams lead her to a different life–one with a handsome husband and two adorable kids. Slowly, the nighttime dreams become more and more real…I'm enjoying this debut novel a lot. Books on Embroidery and Knitting. For research. Really. I swear I don't just look at them for the pretty pictures. Younger, by Suzanne Munshower, which was free as an Amazon preview for Prime subscribers. I know her from Twitter and this book was published by and Amazon imprint which shot to the number one spot of all Kindle ebooks. So, why not? Plus, it looks entertaining. So that's it for now. Do tell: what are you reading? Interesting list. I’ll buy “Gotta Read It.” I have read several of the Jan Karon’s but it’s been a while. And I heard someone raving about “All the LIght We Cannot See.” I’ll add the Jess Walters teaching book to my list. Perhaps the title of “Take off Your Pants” drew inspiration from one of my favorite books on grammar/punctuation, “Comma Sutra.” You have awakened my read itch, and my itches have to be scratched. Thanks. I really like the work of Libbie Hawker. 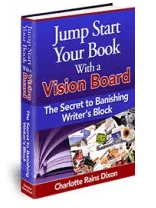 The Gotta Read It book takes only a few minutes to read but it helped clarify my thinking on how to write a synopsis. And I agree, the other one has a great title–though I think Comma Sutra might win. Maybe you're like me–I'm always reading something, but I also go through periods where I'm reading tons, and others, not as much. This year, I've been reading tons. (And, interestingly, this period of heavy reading coincides with a period of heavy writing. Hmmm…) And I do love those Jan Karon books! Can you get it down into some kind of loose outline? It sounds a little torturous. Those stories are pesky until we get them out on the page. But I'm glad they are whispering to you to get out! That means they will eventually make their way to the page. Well, the good news is that nobody needs to see it for quite awhile–until you are done. (And I do understand the fear of letting someone read your work.) I wonder if you might consider pressing forward and not going back to fuss with the first two chapters? You'll know a lot more about the story once you get to the end of the first draft. It’s a good time for me to remember your advice: just write. Don’t think. Just write. Pen to paper. And go! SO VERY TRUE. And, if its any consolation, I remind myself of that every day. I think every writer does!